The number of U.S. workers filing new applications for unemployment insurance rose unexpectedly last week, a report showed on Thursday, heightening fears the labor market recovery was stalling. Initial claims for state unemployment benefits increased 13,000 to a seasonally adjusted 472,000 in the week ended June 26, the Labor Department said. Analysts polled by Reuters had expected claims to slip to 452,000 from the previously reported 457,000, which was revised slightly up to 459,000 in Thursday's report. A Labor Department official said only one state was estimated. The four-week moving average of new claims, considered a better measure of underlying labor market trends, rose 3,250 to 466,500—the highest level since early March. The claims data has no implications for the June employment report due on Friday as it falls outside the survey period. Nonfarm payrolls likely fell 110,000 last month, the first decline this year, as the bulk of May's 411,000 temporary census jobs ended, according to a Reuters survey. Employment increased 431,000 in May. The labor market has struggled to gain traction, despite three straight quarters of economic growth following the longest and deepest recession since the 1930s. While layoffs have slowed sharply from early last year, businesses remain skeptical of the strength of the recovery and are holding back on hiring, keeping claims for unemployment benefits at uncomfortably lofty levels. High unemployment is a sore point for President Barack Obama, whose approval ratings have plummeted, and the economy's failure to create sufficient employment to absorb the more than 8 million Americans who lost their jobs during the recession could hurt the Democratic Party in the November mid-term elections. The number of people still receiving benefits after an initial week of aid increased 43,000 to 4.62 million in the week ended June 19, the Labor Department said. The level was above market expectations for 4.54 million. 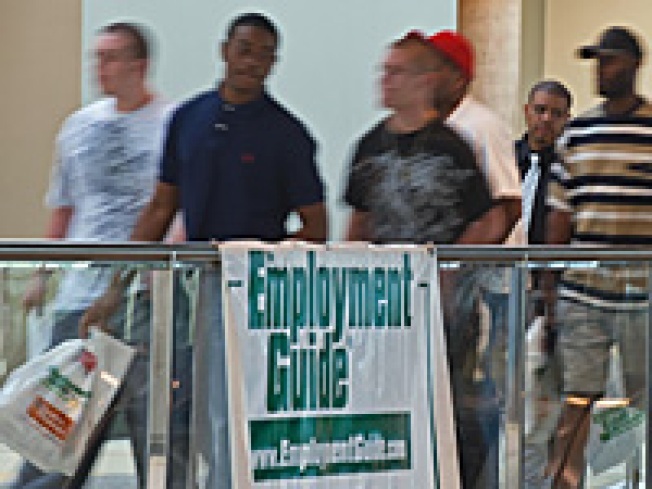 The insured unemployment rate, which measures the percentage of the insured labor force that is jobless, was unchanged for a third week at 3.6 percent in the week ended June 19.